Have you noticed how everything seems to be ‘sped up’ these days? How everything needs doing yesterday and there seems to be a lot of noise. You only have to consider what used to be the ‘normal’ way of things for so many of us. Work hard at school. Leave and perhaps go to university, get a degree and then you’re set up for a job for life. Meet someone you want to settle down with, buy a home and have children; make your life together. Offer your services and get paid regularly. Then collect your pension because you’ve paid your dues. Now I know these three examples are very general and simplistic and yet they are part of so many of our ‘stories’. They were certainly part of my story growing up with parents who did all three. With information now spinning around the world in seconds and combining that with the technology which makes it possible, you just have to accept that the feeling of uncertainty and chaos as the new ‘situation normal’. Traditional industries are in flux with the ‘job for life’ deal being as redundant as the people who often receive those letters. No longer trusting ‘the good old firm’ more people are starting up their own businesses. Unemployment is on the increase. Economies, which traditionally set the bar, are struggling and teetering whilst others emerge, fast and competitively. People now have a voice. Social media sites make it possible to complain, influence and speak up when before it was a ‘take it or leave it’ attitude. So what can you rely on? Well, as ever, change - except the speed of change is so much faster. What I believe and know you can count on, is your own personal savvy, your own value and how you position it as change continues. The only way to navigate the rate and speed of change and the uncertainty surrounding it is to embrace it and go with it. Out of chaos comes opportunity. Here are a few open-ended questions to have on the tip of your tongue to help you move with the times. ‘Who’s driving the bus?’ Look for ways when you can take the steering wheel in either a situation or a new direction. Even if it’s just how you behave, you have control over that and it calms you. ‘What’s the opportunity in this situation?’ For the industry, the business, the team, my clients, for me? ‘What would I advise someone to do about this?’ It’s always easier when it’s not you so pretend it isn’t and listen to what you’d say. ‘With what I know and what I’m good at, how can I help others adapt to this?’ De-personalising and then becoming a leader in the situation adds to your value and peace of mind. ‘What would my favourite superhero do in this situation?’ Finding inspiration and humour can unlock you when you’re in ‘startled deer’ mode. It’s also a great way to wake other people up by asking them the same question. 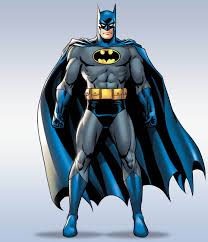 If you think about Batman - one of my favourite superheroes, he doesn’t have any superpowers as such; He relies on his own scientific knowledge, detective skills and athletic prowess. His gizmos are created and developed to deal with the new ‘baddies’ and situations he’s faced with and ultimately, he’s human too. As Ursula K le Guin, the Sci-Fi writer and children’s author said “The only thing that makes life possible is permanent, intolerable uncertainty; not knowing what comes next.” Or, as Batman says “Remember Robin, always look both ways”.